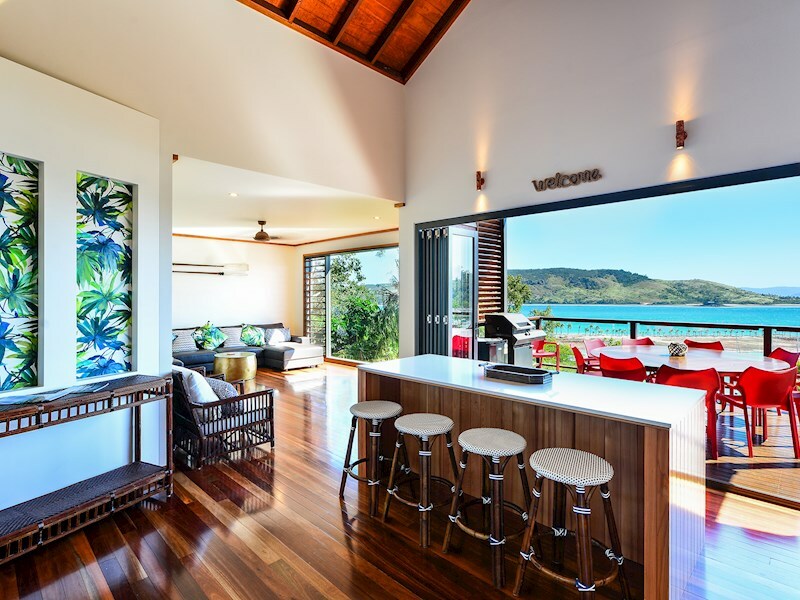 Spacious designer home with spectacular views. 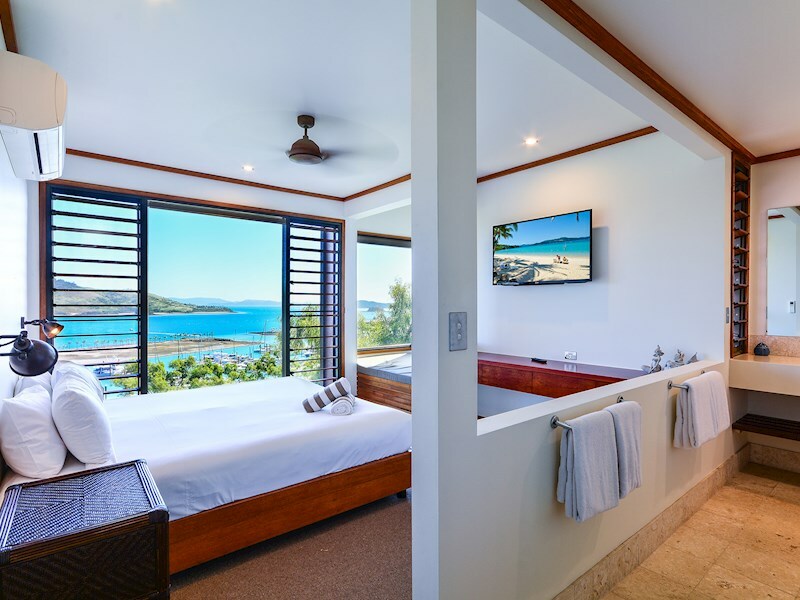 With room for up to 12 guests, impeccable contemporary style, a 14m private pool and jaw-dropping views, Alang Alang Island Retreat will make your island stay truly unforgettable. 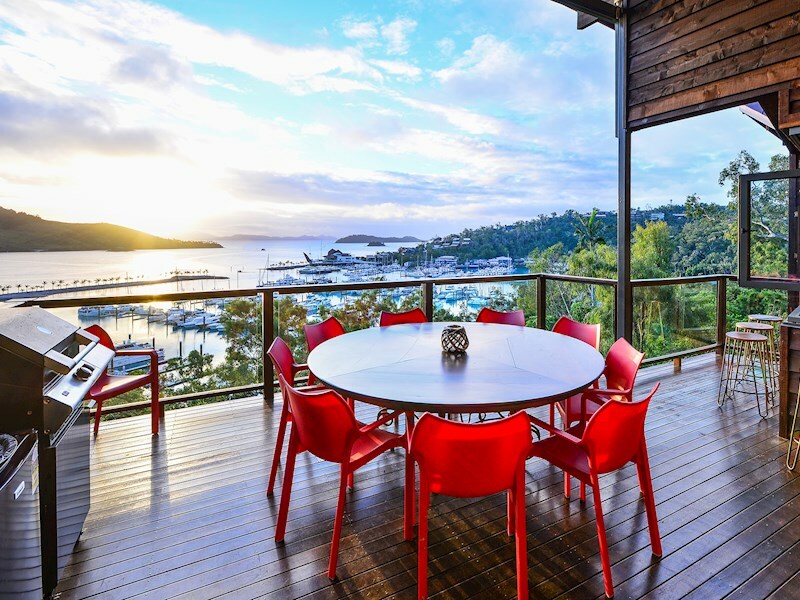 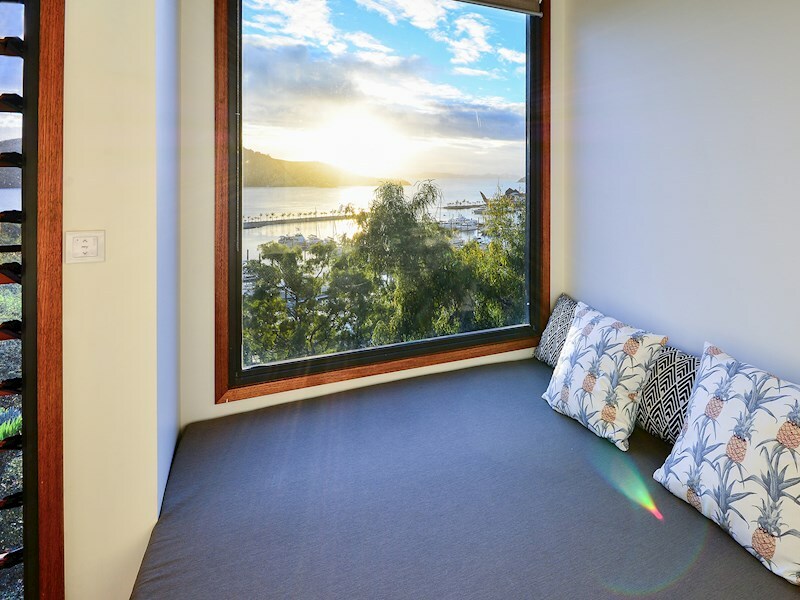 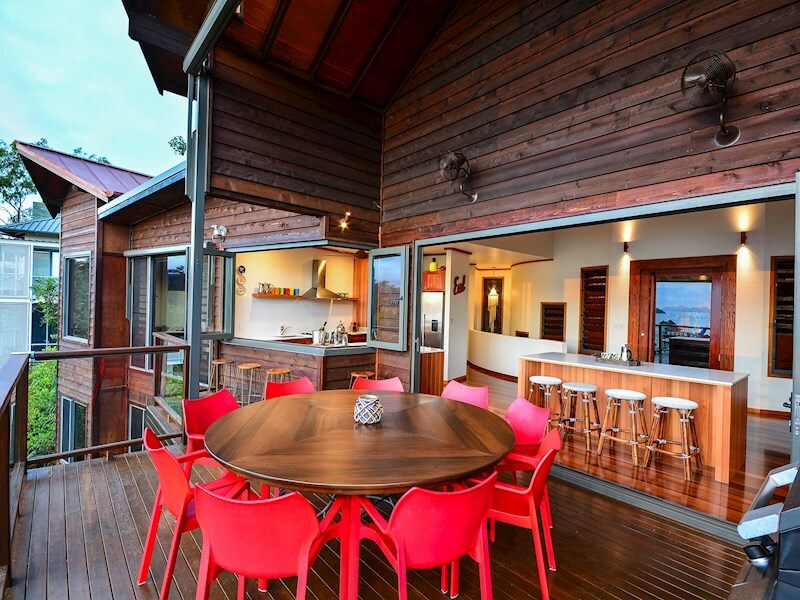 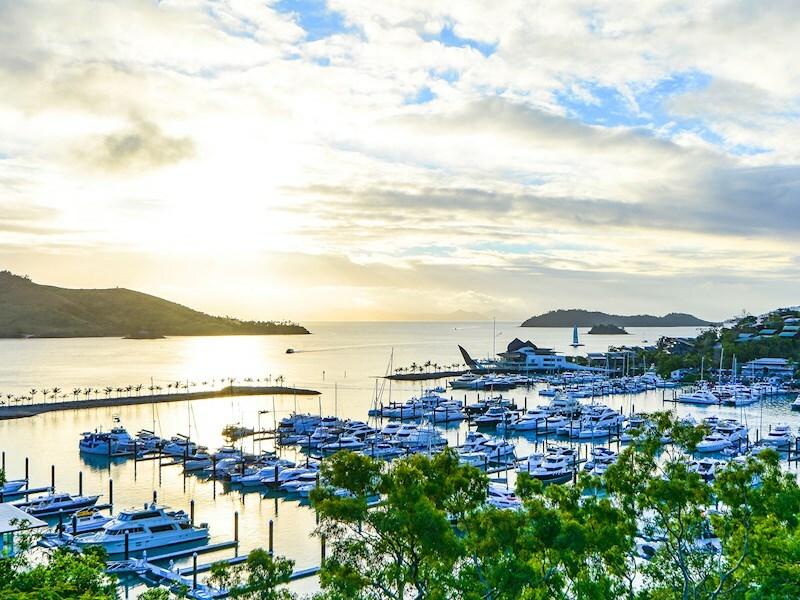 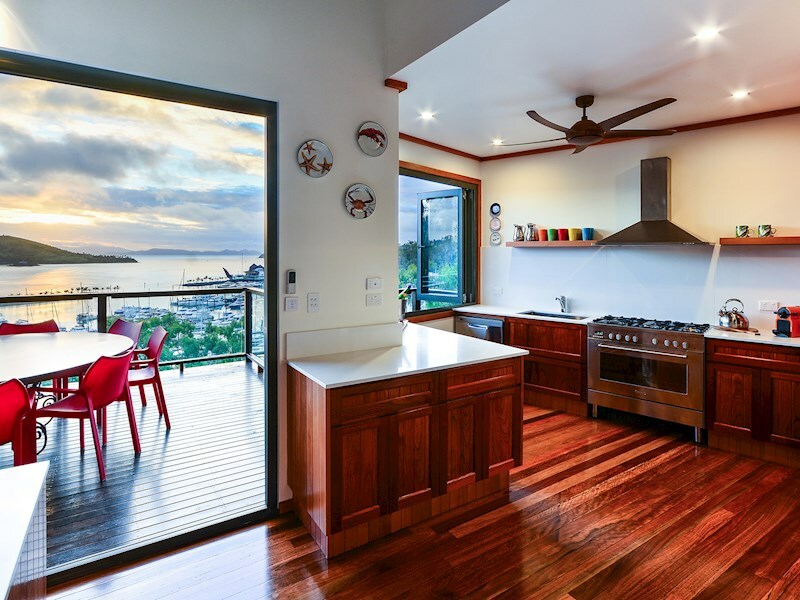 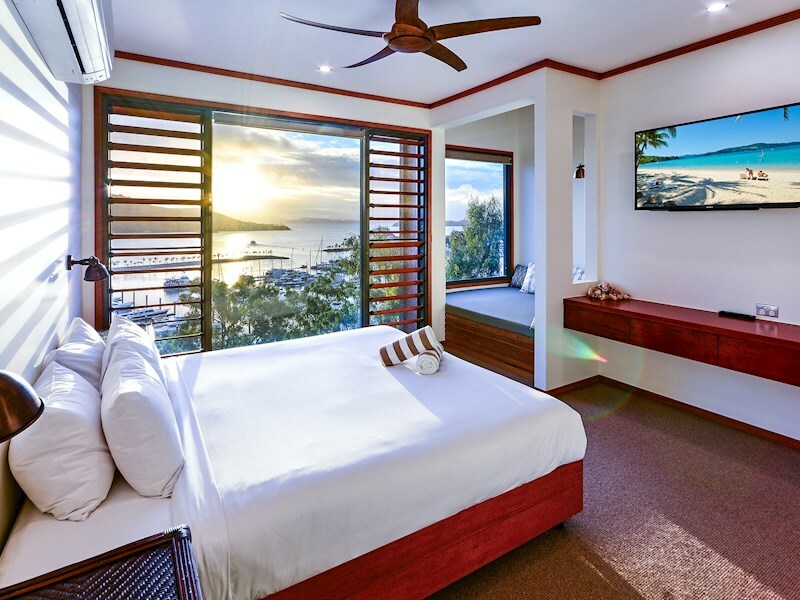 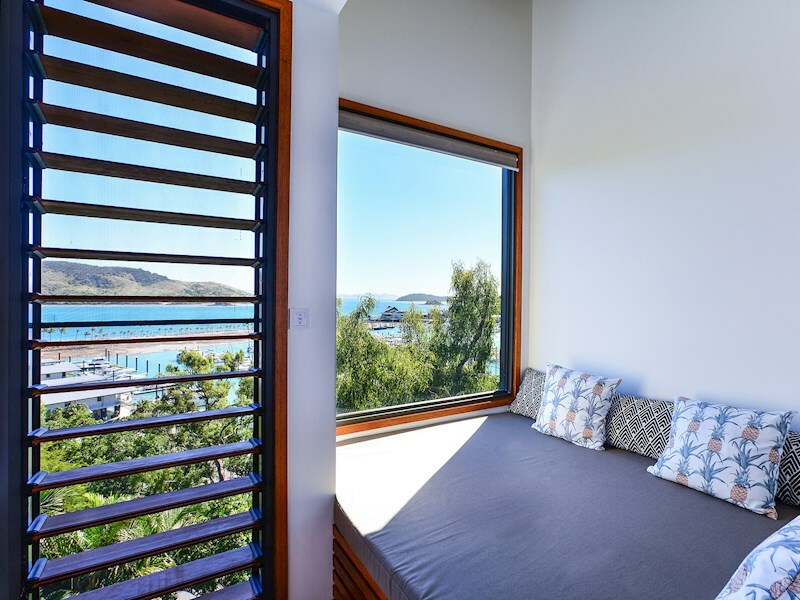 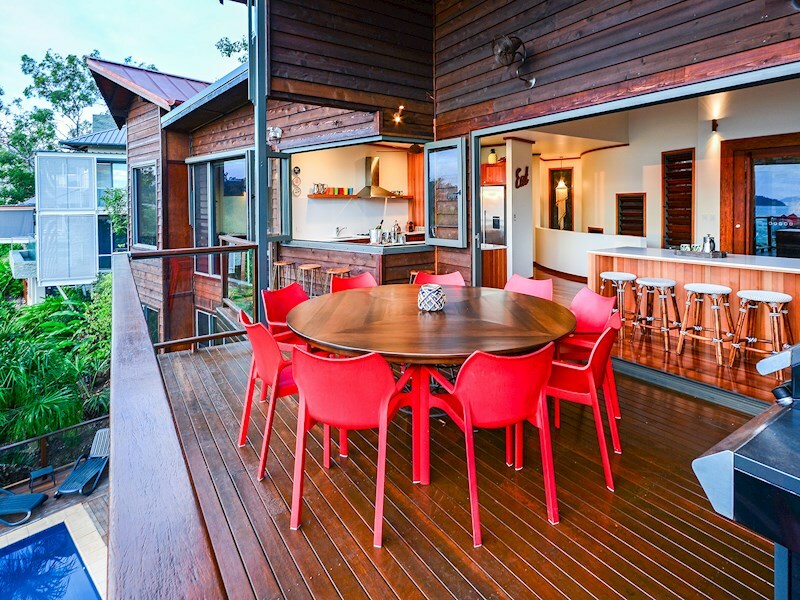 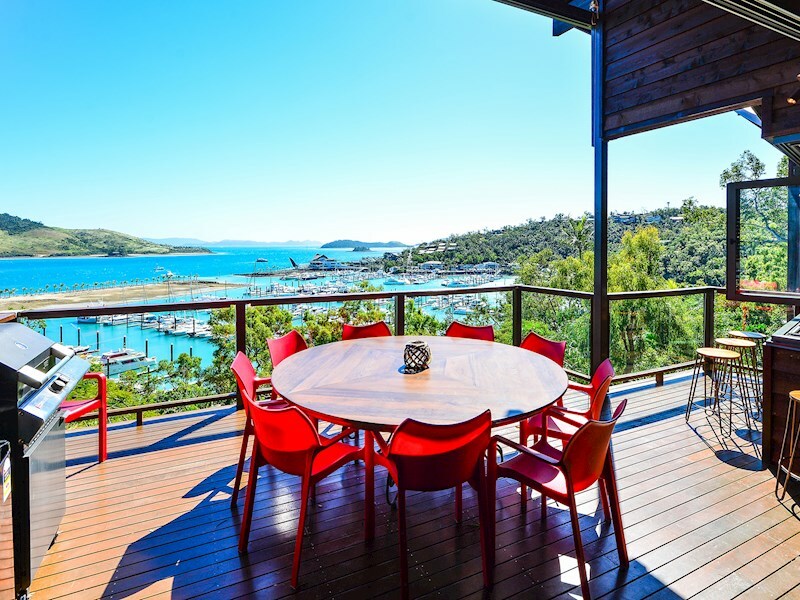 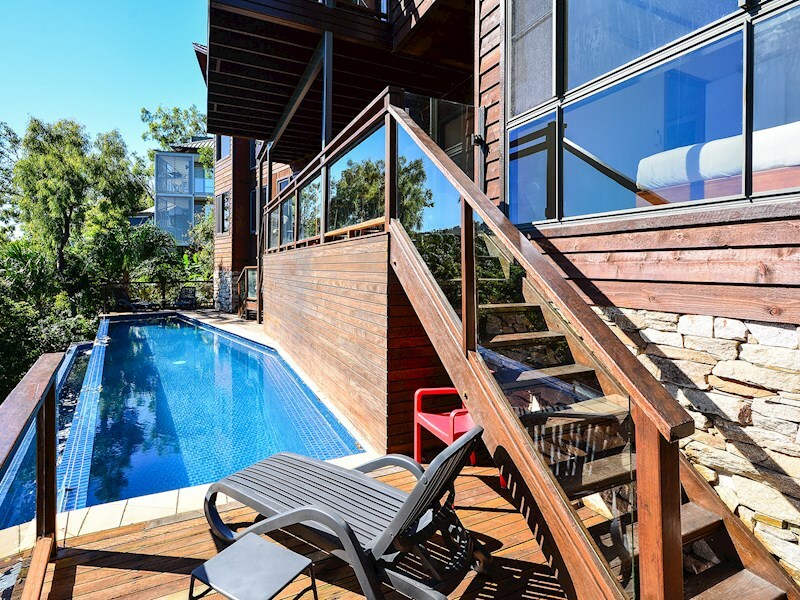 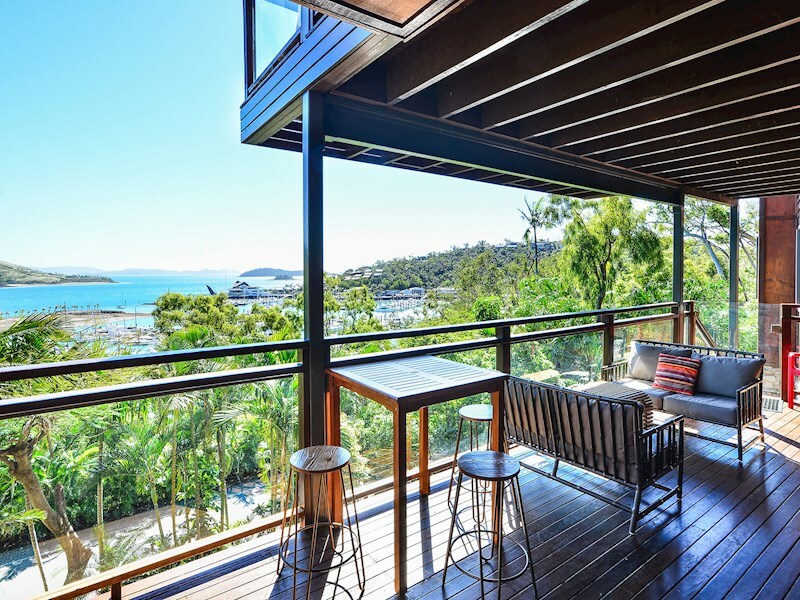 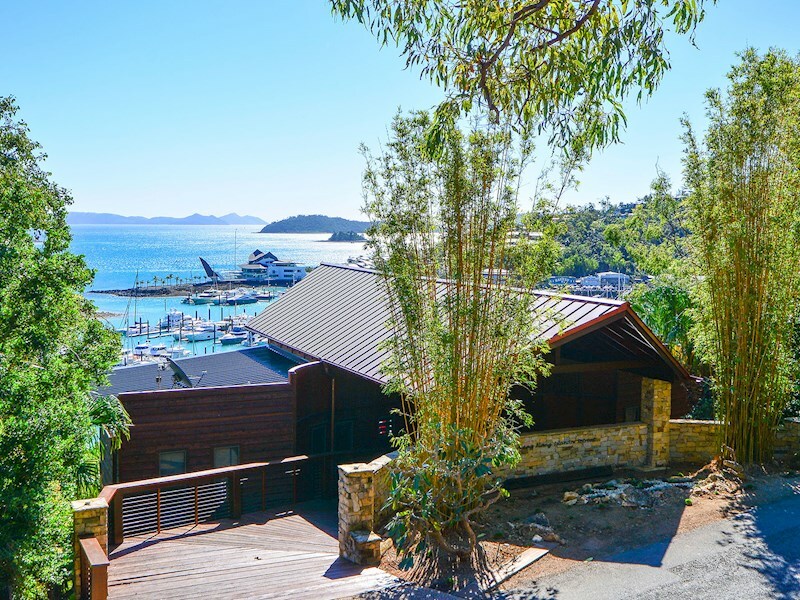 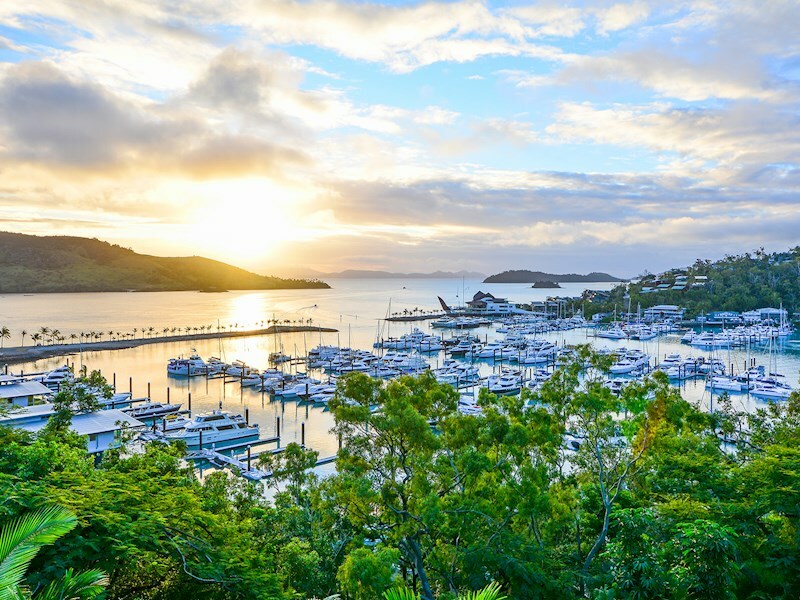 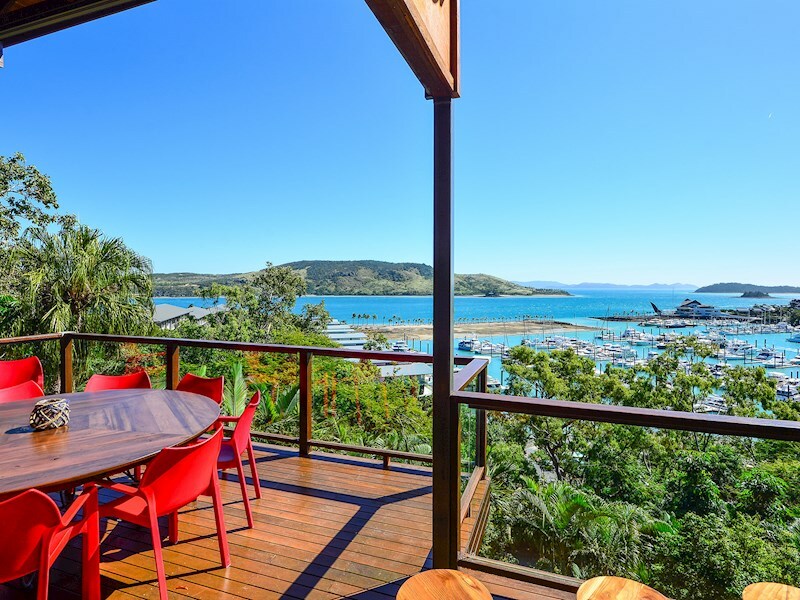 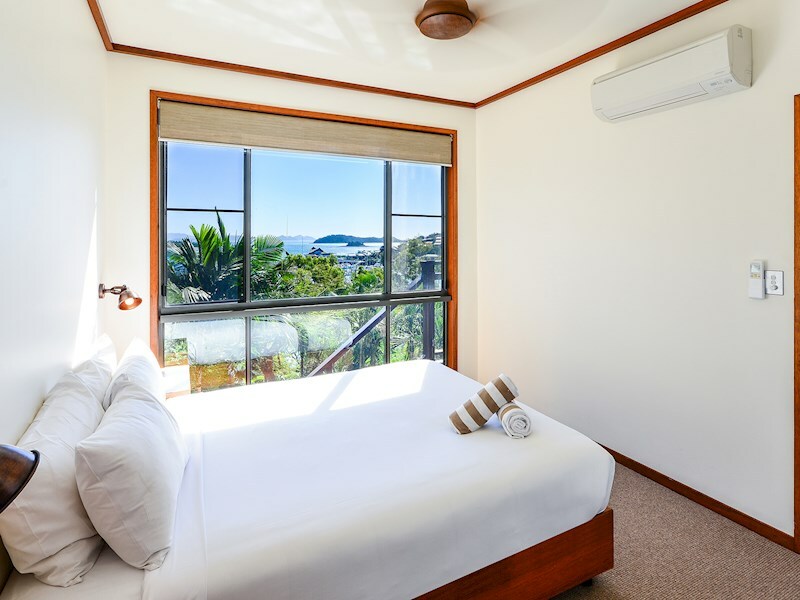 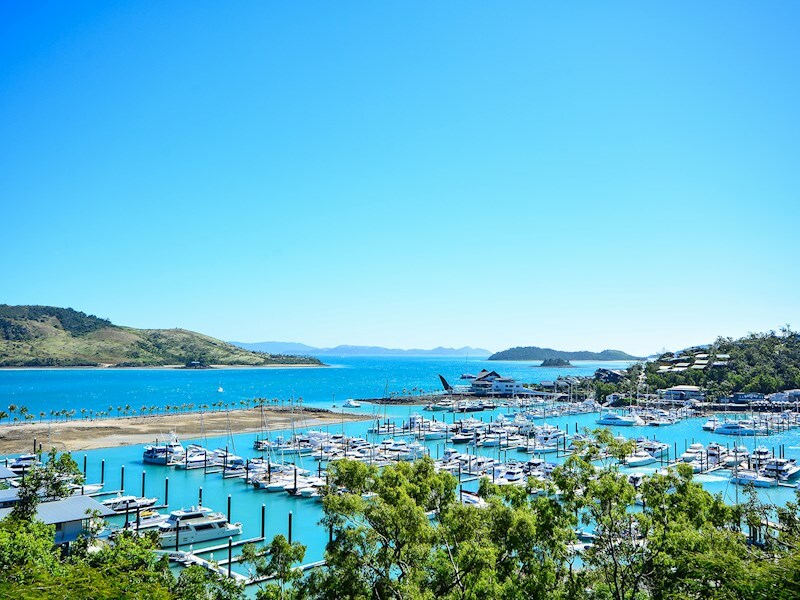 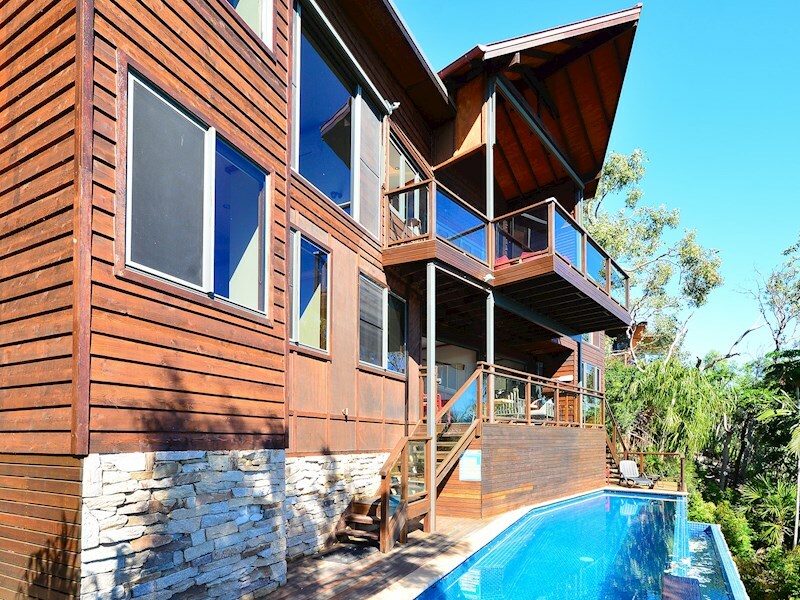 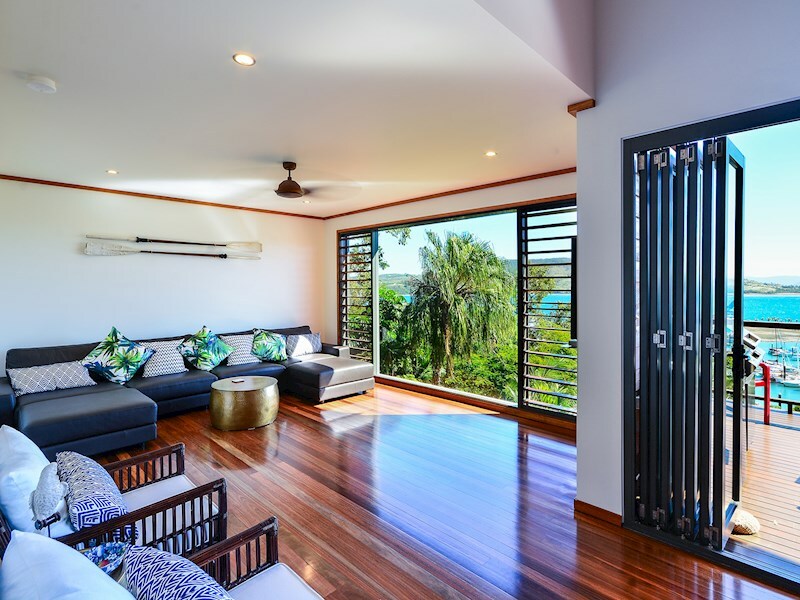 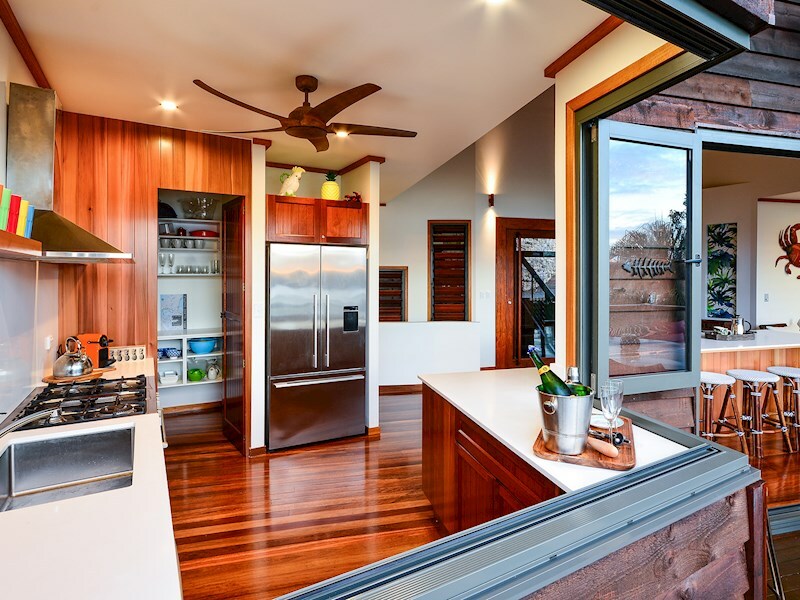 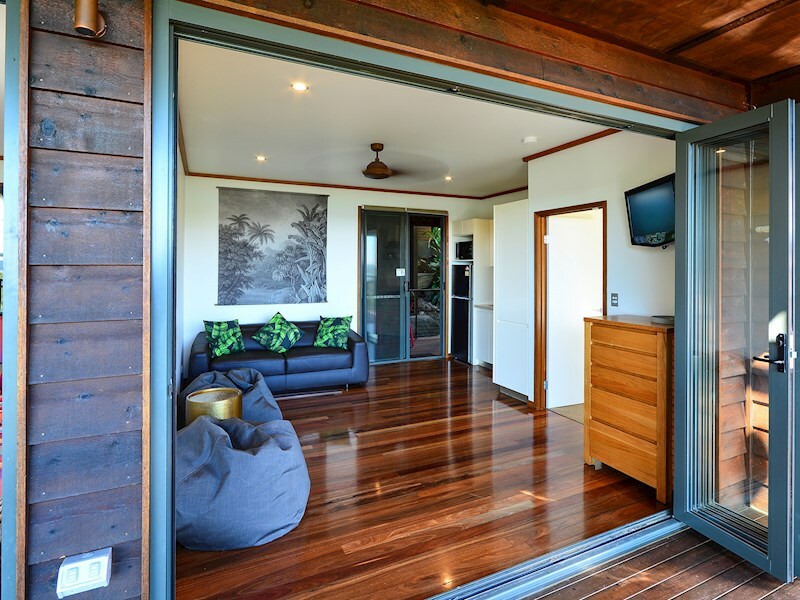 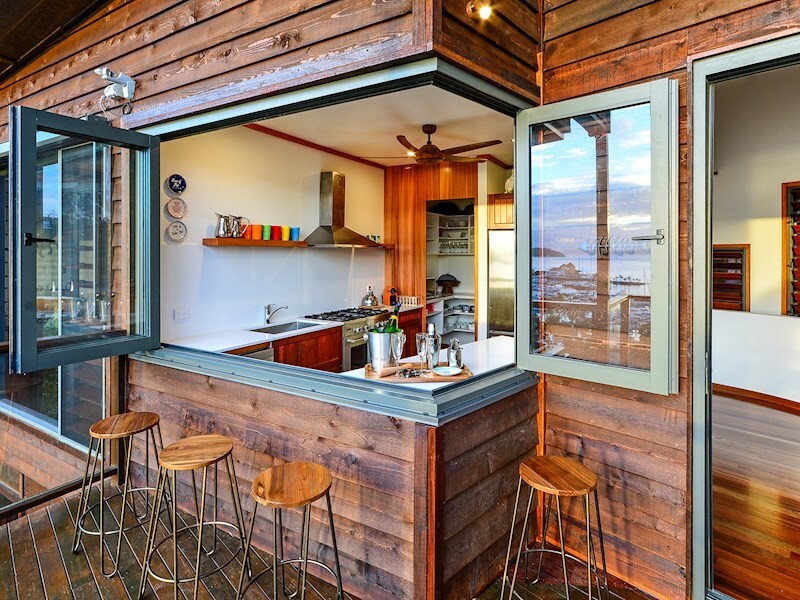 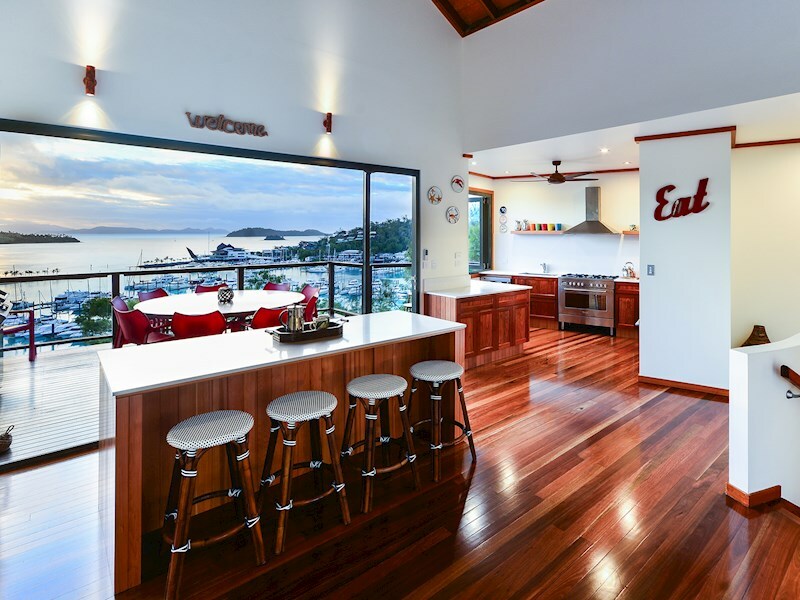 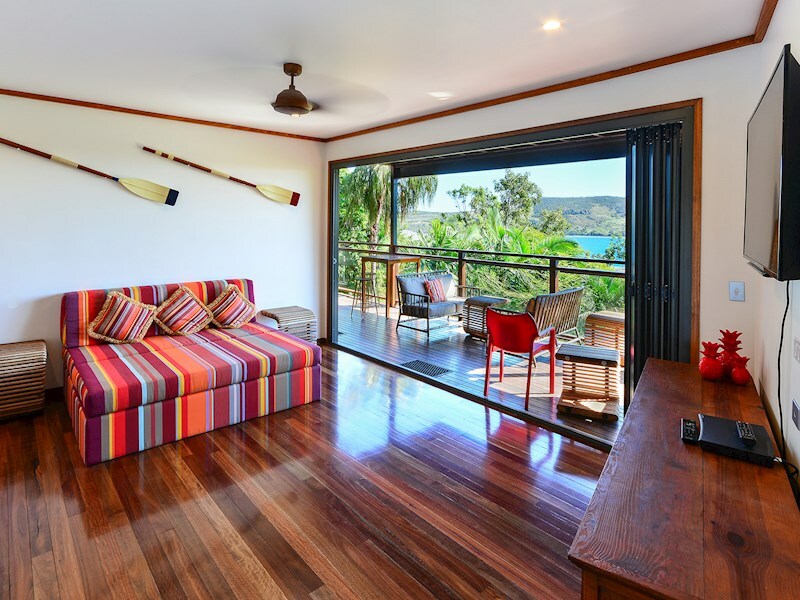 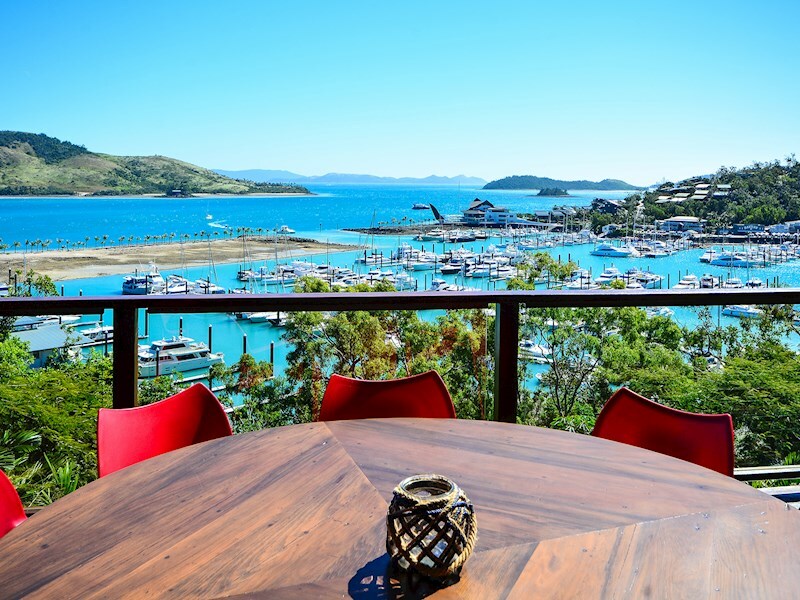 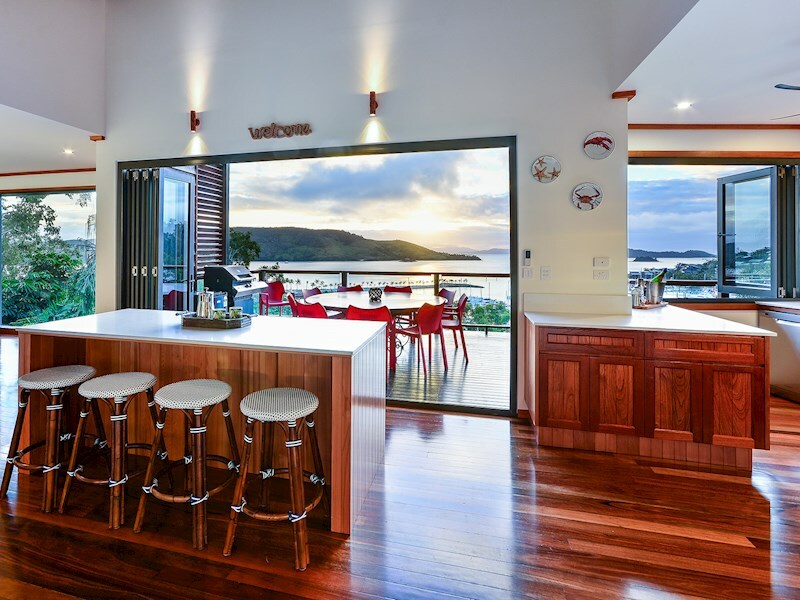 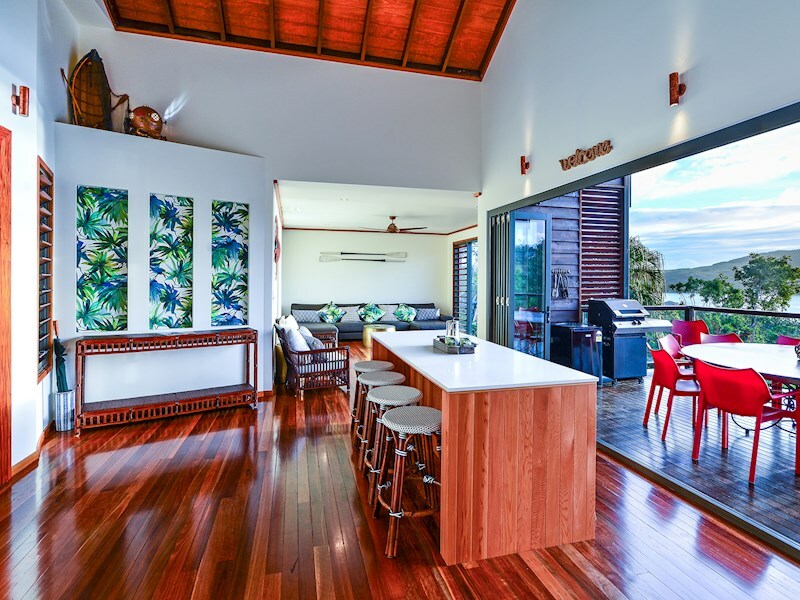 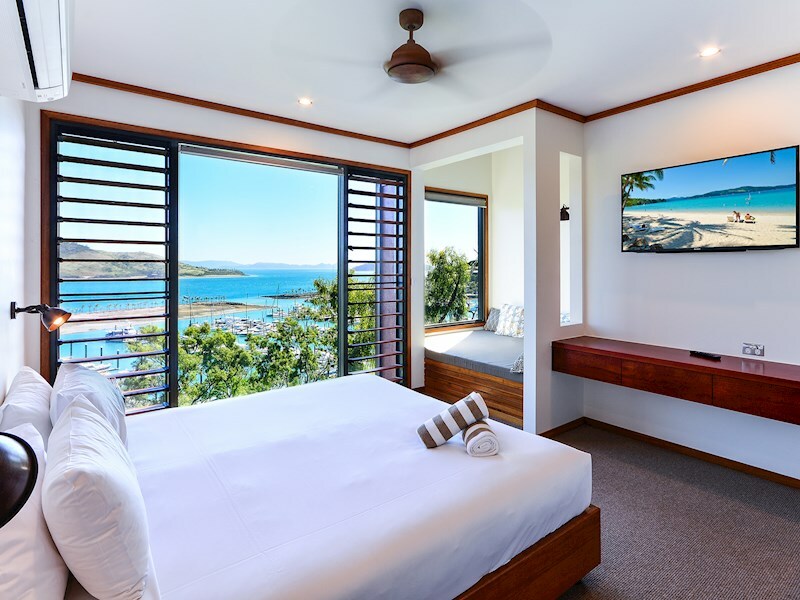 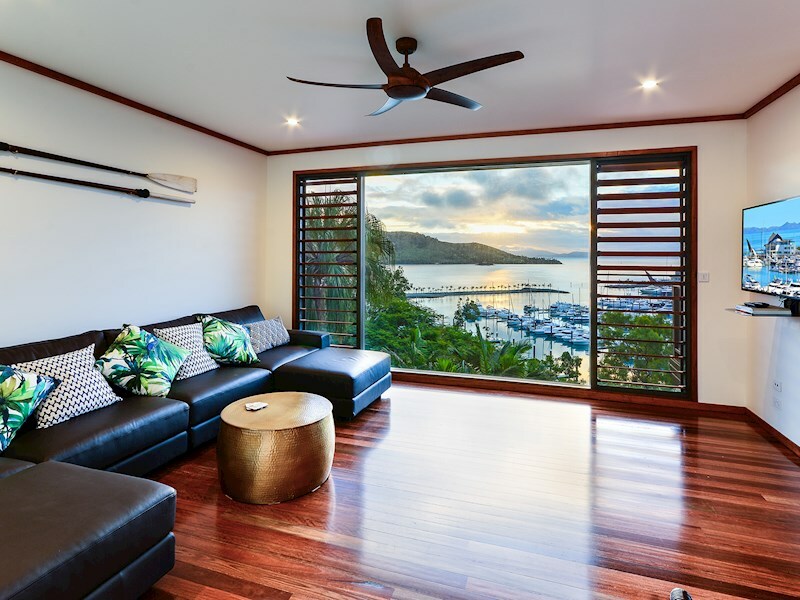 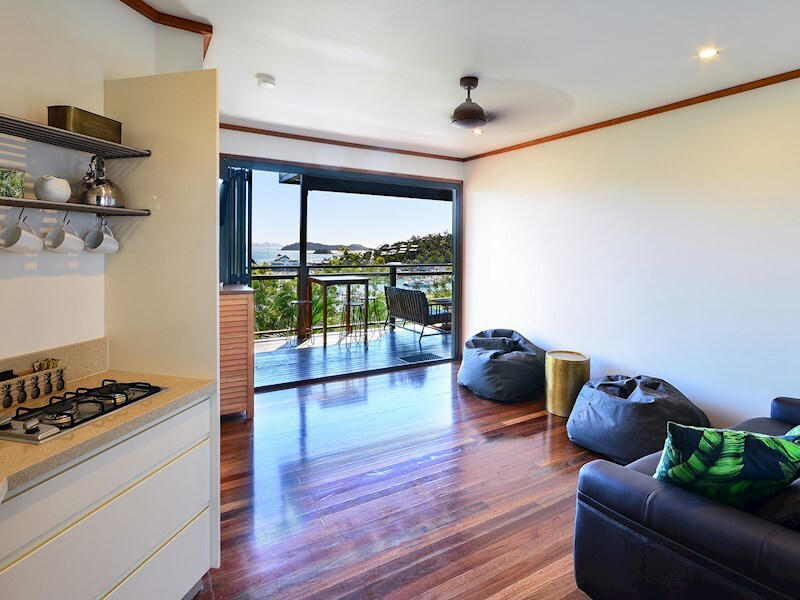 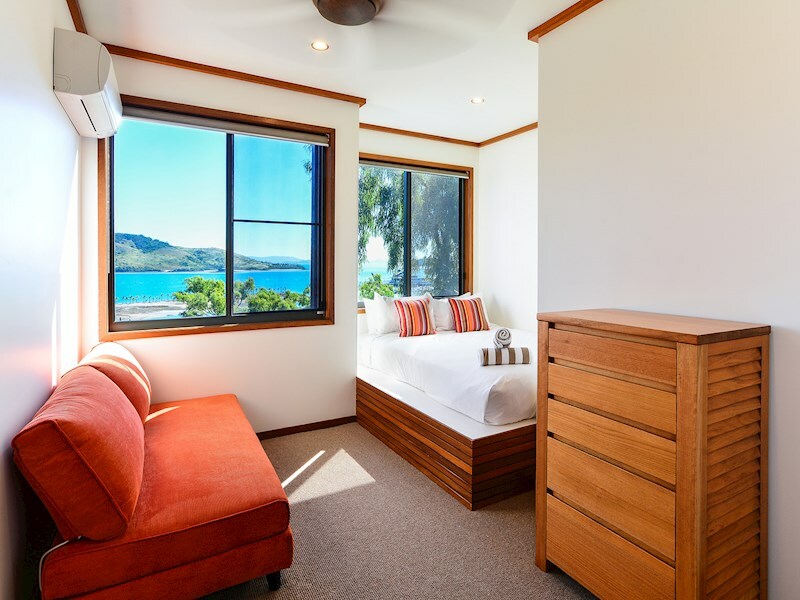 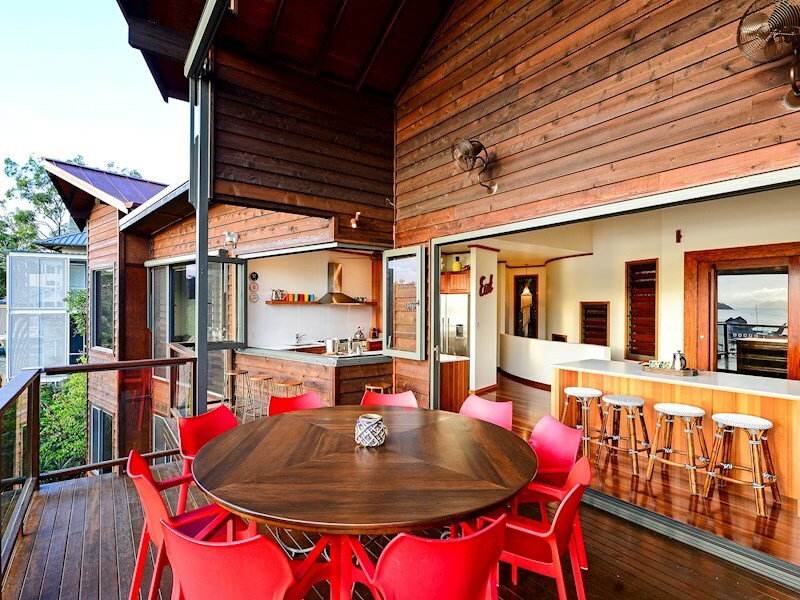 Relax on the deck and enjoy spectacular views of the Marina and the Whitsundays. 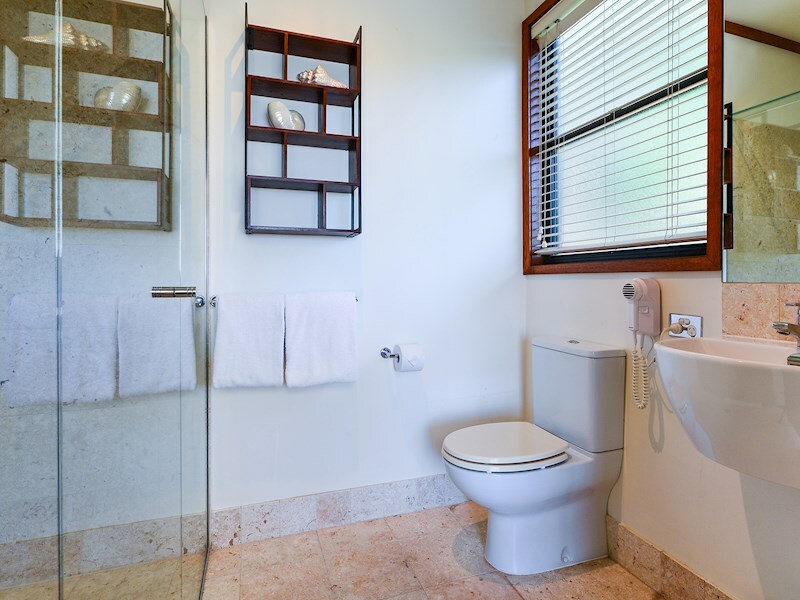 Travelling with friends or family? 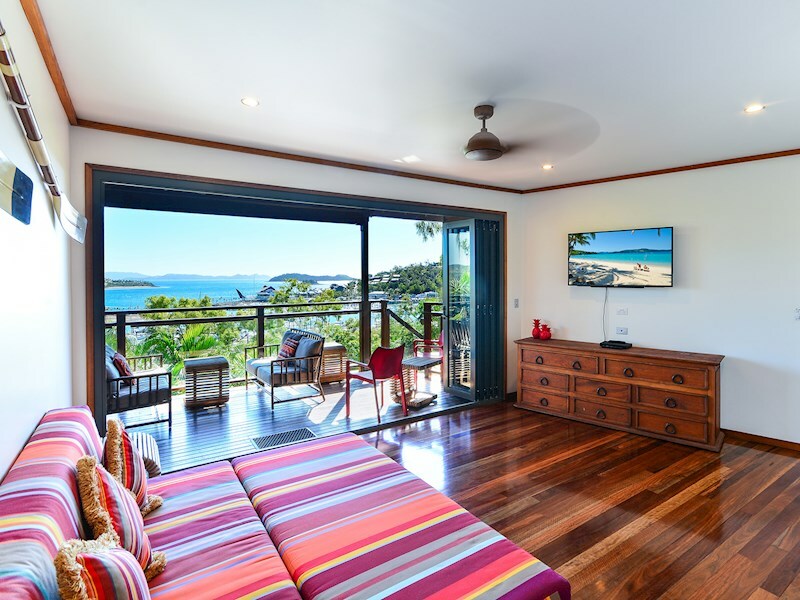 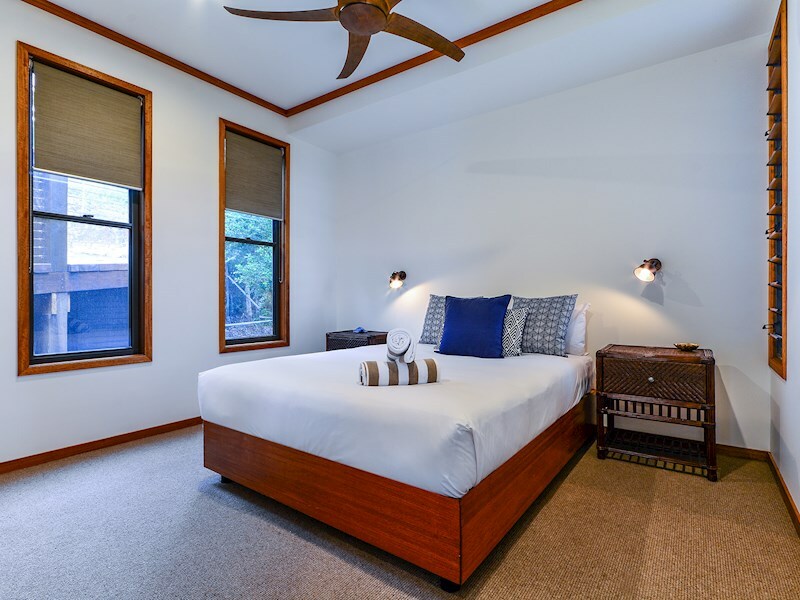 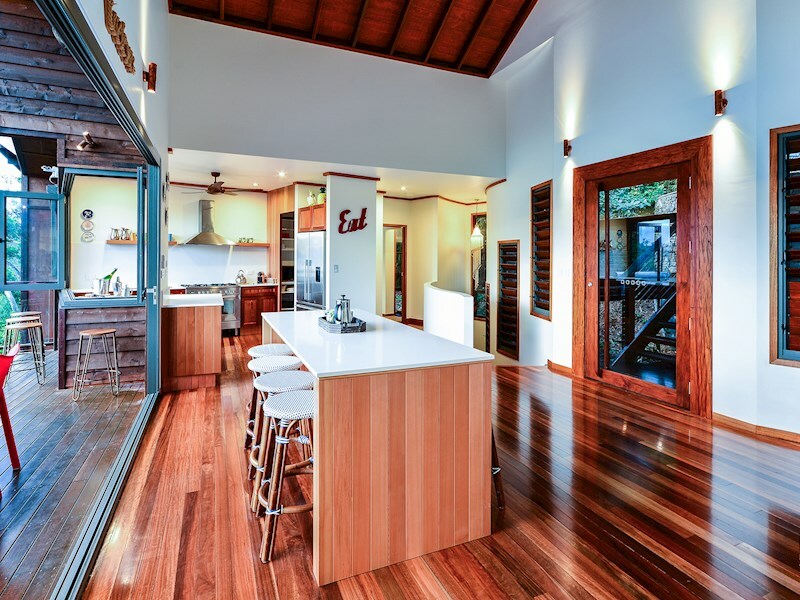 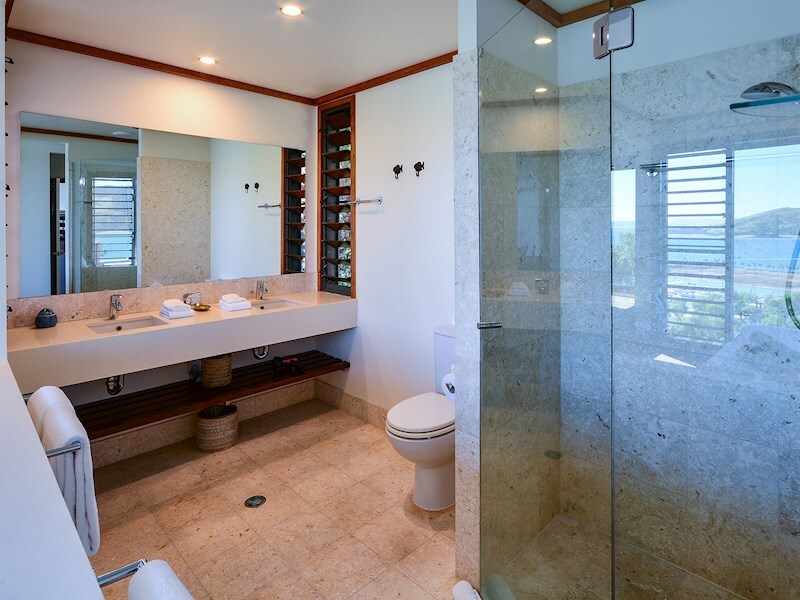 There’s plenty of room for everyone, with five bedrooms, four bathrooms and a range of living spaces, including a media /rumpus room, second living area and self-contained guesthouse. 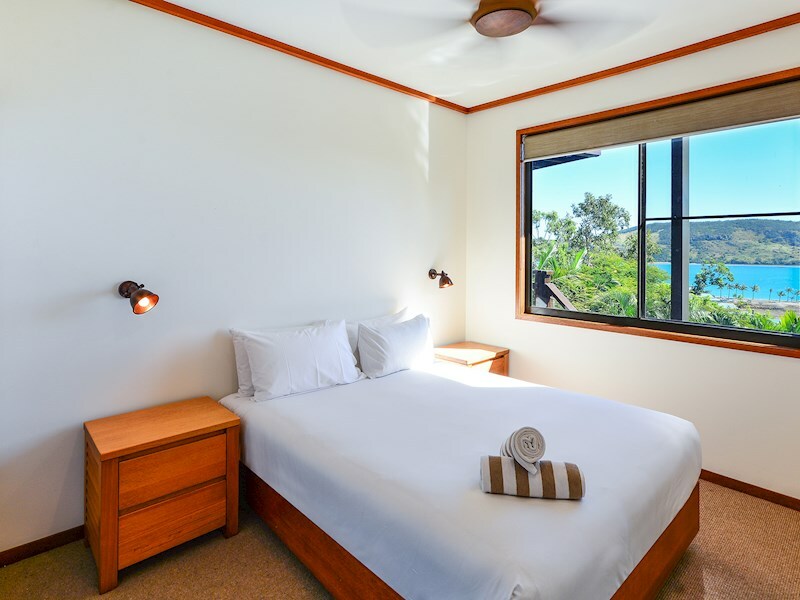 Perched high on the headland, Alang Alang is beautifully quiet and private. 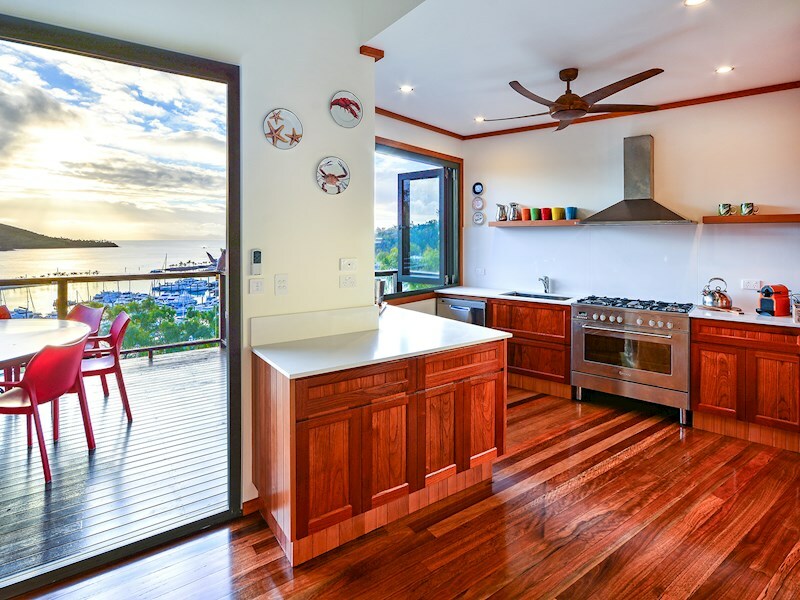 The house is fitted with all the appliances you need, including a kitchen with dishwasher and microwave, a laundry with washing machine and dryer, and a flat screen TV, DVD and stereo in the main living area. 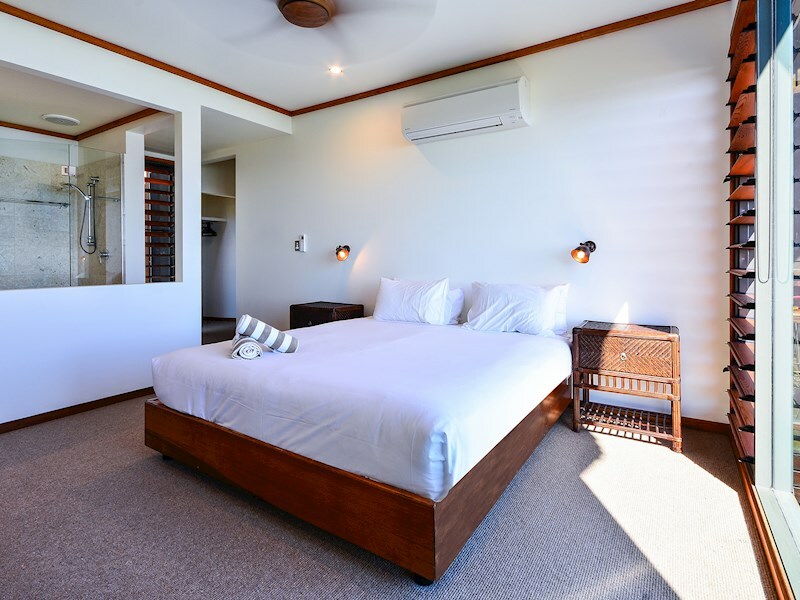 All of the bedrooms are also air cond. 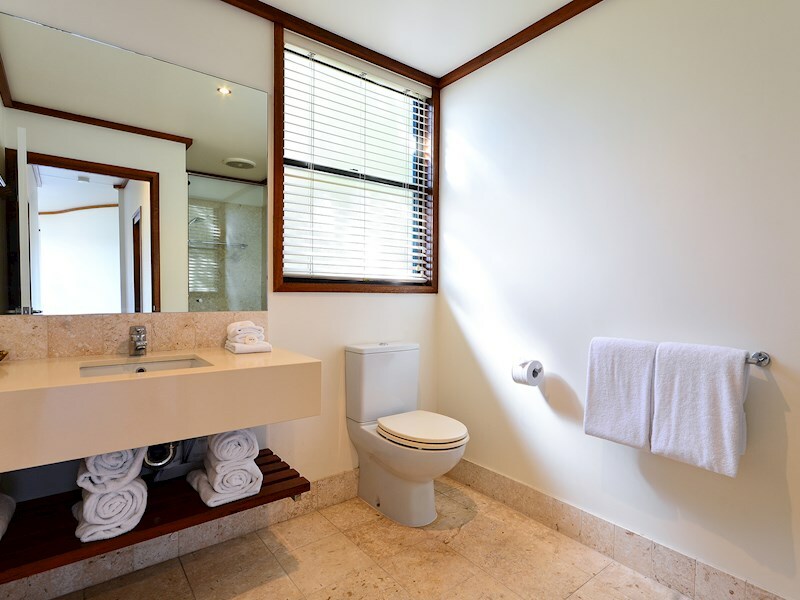 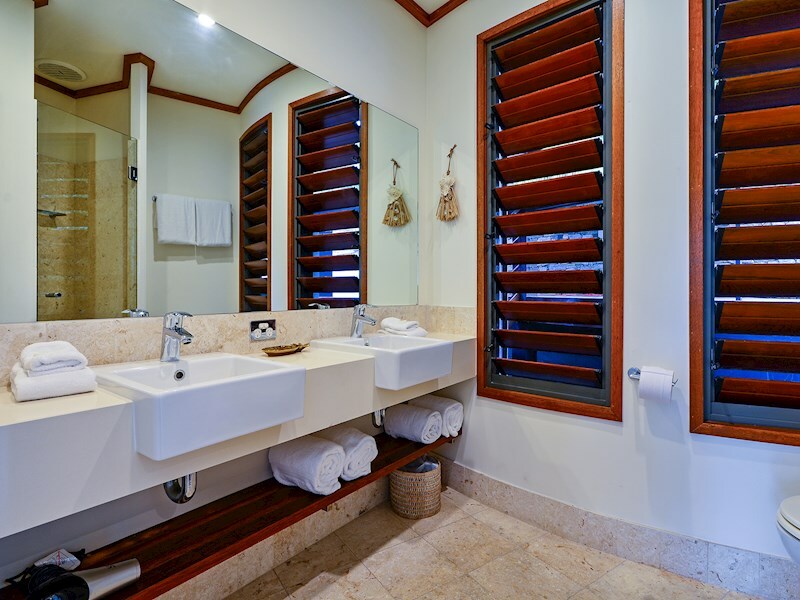 A complimentary 4-seater golf buggy is included as part of your stay and can be charged overnight in the carport. 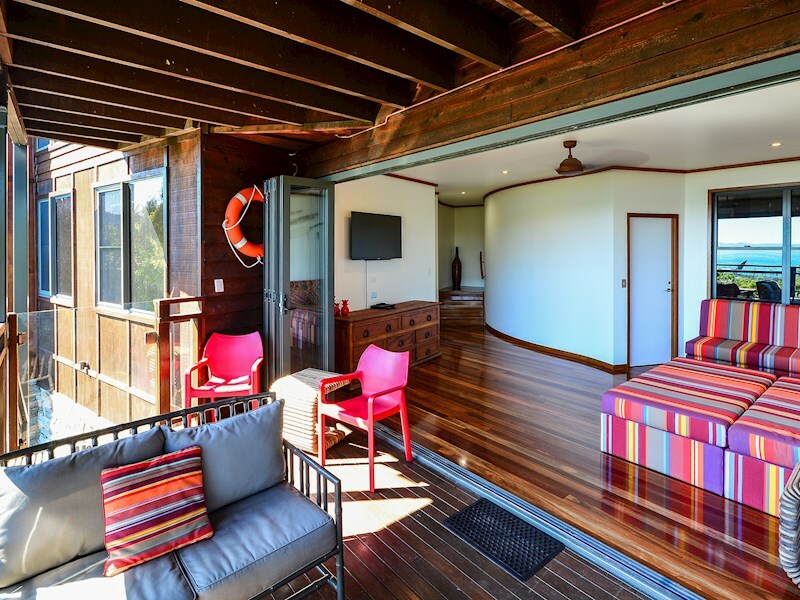 Downstairs, there is a self-contained guesthouse with an ensuite, a small kitchenette, a fold-out sofa bed in the living area, and two TVs. 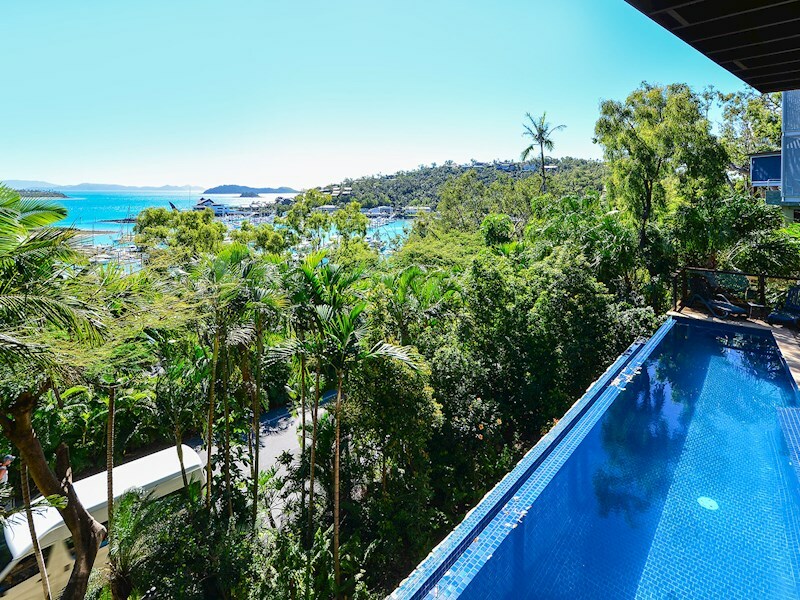 A private, 14m infinity-edge pool can be accessed from the lower level.